her off guard. I reach out to steady her, and my hand lingers on her shoulder, my fingers brushing against the inside of her arm. My voice is low, and I struggle to control the torrent of emotions that flood me as I stare at her upturned face. I want to pull her flush against me and kiss her senseless as much as I want to turn around and leave. Memories from Christmas flood back. I don’t know what’s going on between us. I had said the words to her on Christmas Day and yet, they ring true now. 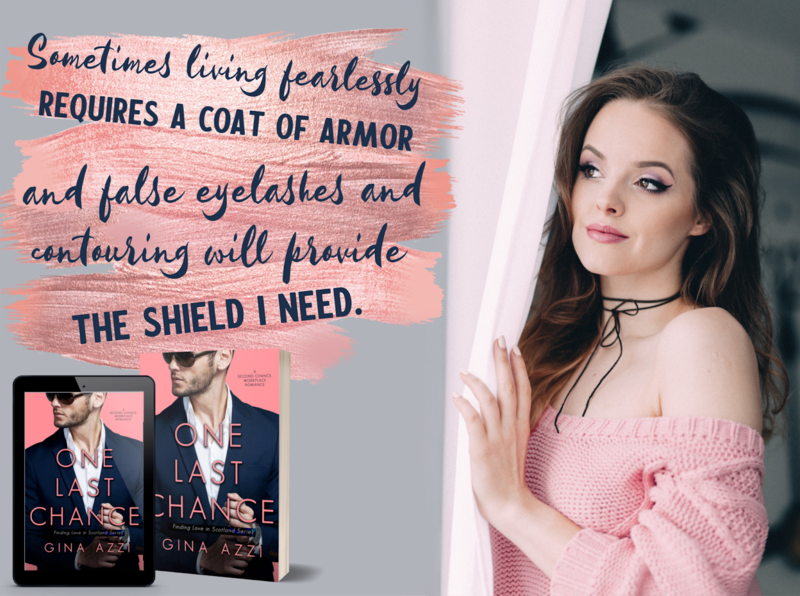 Gina Azzi writes Contemporary Romance with relatable, genuine characters experiencing real life love, friendships, and challenges. She is the author of The Kane Brothers Series, The College Pact Series (re-launching summer 2019), and Corner of Ocean and Bay. All of her books can be read as stand-alones. Oh my me! 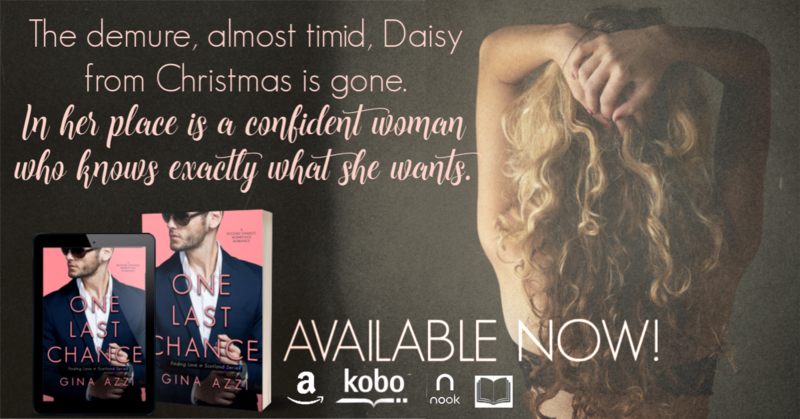 I was so waiting, not so patiently for Daisy’s story! And it was soooo worth the wait! 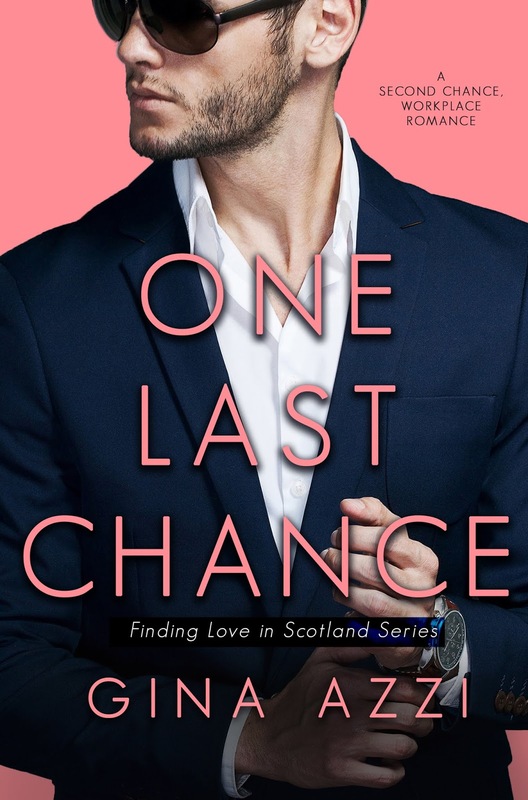 One Last Chance is Daisy Kane and Finlay Anderson’s story. We have seen both characters interwoven in the other Kane Brothers novels. First off, I have never been to Scotland, but it’s on my bucket list. Gina’s descriptive words are magic and bring you right in the heart of Stockbridge and Edinburgh. I could picture myself right there with Daisy as she explored her new home. And now the best part, Daisy! I absolutely loved her bravery and fresh start mantra! To move across the pond, away from her family and friends to start a whole new life for herself. Sure she had her best friend’s family there with her to have a support system, but she was standing on her own two feet. 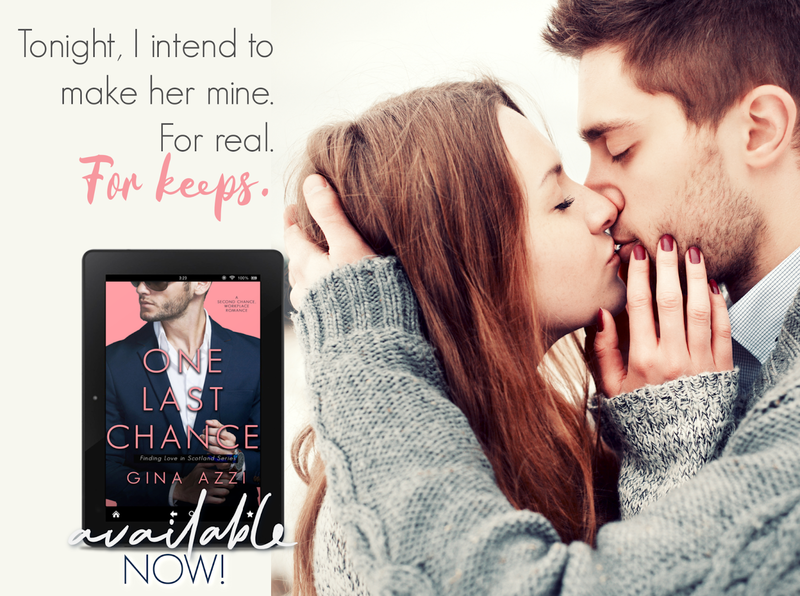 Finn is a smooth talker (I can just imagine that Scottish brogue….swoon). He has had a disastrous try at a relationship and it has scarred him. He is stubborn and fights his feelings for Daisy. But wowza, the chemistry between Finn and Daisy is hotter than Hades! You can feel the heat coming off the pages and I like the fact that they were friends and colleagues first. When they finally decided to take the “one day at a time” approach to relationship you could tell both Daisy and Finn were trying to figure out what was really going on with them. The dual POV’s were essential to this. I loved to see how both Daisy and Finn’s minds were trying to wrap around what was going on. 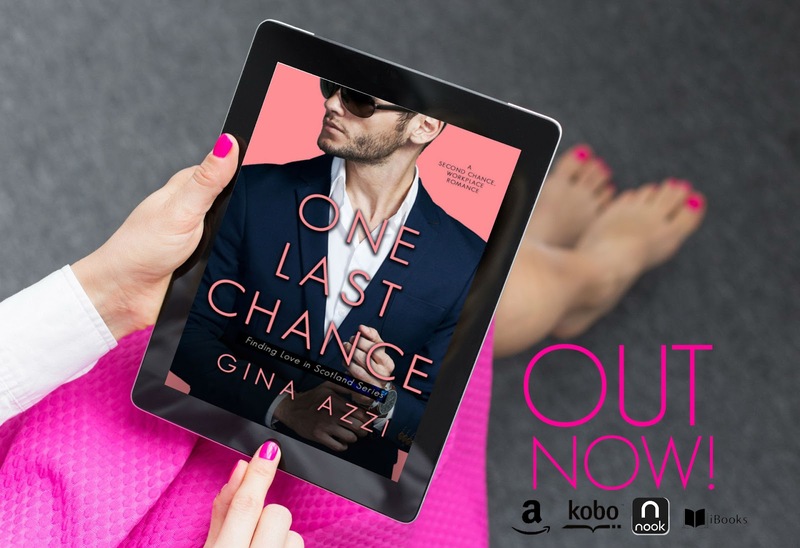 Every book that Gina writes is even better than the last and One Last Chance is just proof of the epic writing talent that is Gina Azzi! I cannot wait for Aaron’s book next! Thank you so much Chloe!! So happy you loved Daisy and Finn’s story!